High quality longer lasting radius cam with hardwelded or plasma nitrided tool steel lobes, hardfaced lightweight lifters (1/2 the weight of stock lifters), bronze lifter blocks, set of stronger, shorter pushrods to eliminate flexing. 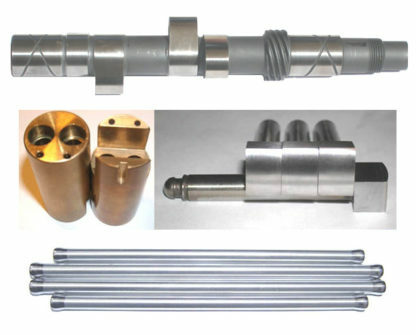 Stage 0, 1 & 2 cams use 1-1/8″ radius BSA lifters. For stage 3 & 4 cams the lifters are specially ground to 7/8″ radius. Contact us to special order Atlas cams or cams for 270 degree cranks (more info).